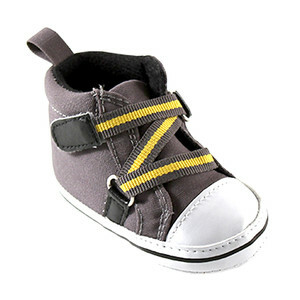 Luvable Friends Boy Zig Zag Hi Tops are an adorable complement to your baby's outfit. Made of durable materials with non-skid soles these baby shoes have elastic “zig zag” laces and a velcro closure strap for easy dressing. 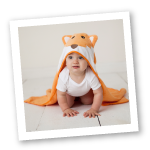 Available in 3 design choices in sizes up to 18 months.